As information increases about the devastation of Japan's earthquake and tsunami, our children will likely see disturbing news footage and have questions about this tragedy. Below are several suggestions on how to talk with children about this disaster and its impact. 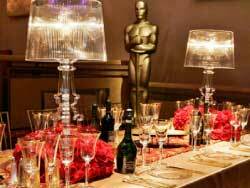 How to Throw a Fabulous Oscar Party on a Less Than Star-Studded Budget!